Hi, my name is Kevin O’Neil, I am 48 years old now and I live in the small town Inverkeithing Fife Scotland. This is home for me and my wife Kirsty and our 4 years old son ‘wee Nathan‘. 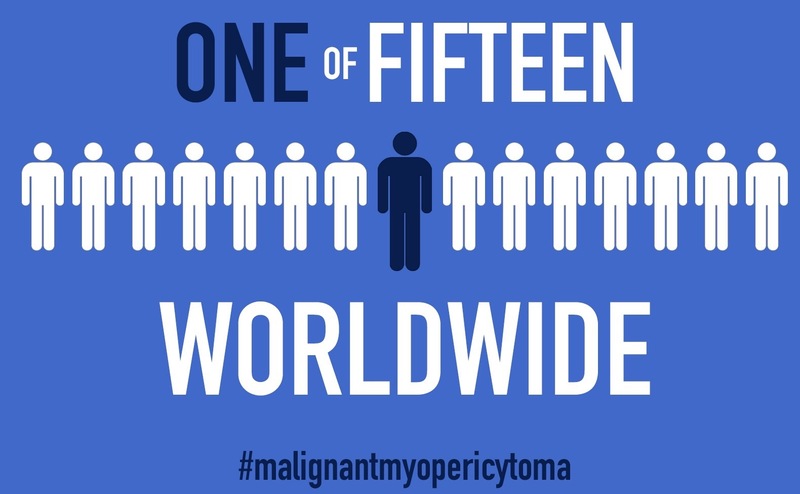 Now, I am 1 of only 15 people worldwide diagnosed with the rare form of cancer called malignant myopericytoma (#malignantmyopericytoma). 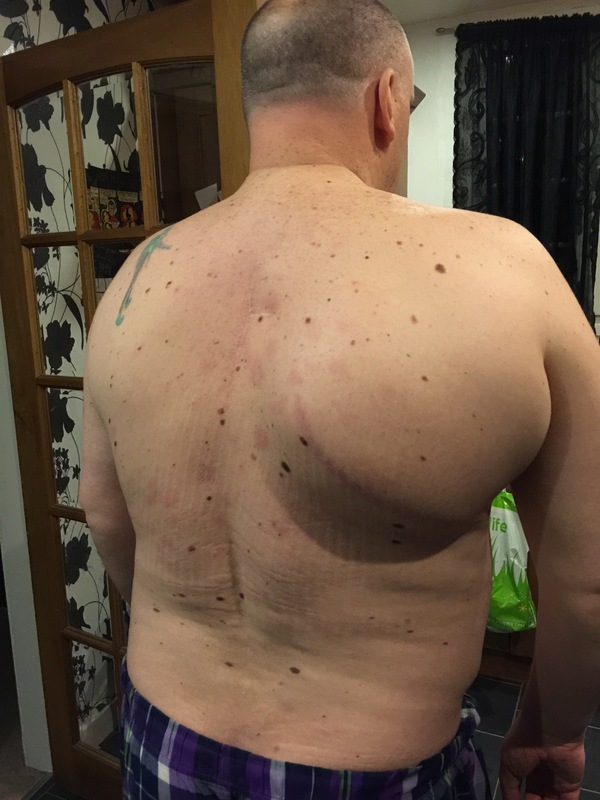 The tumour originally started on the wall of my chest on the right hand side. These photos were taken in late September 2015, roughly about a week before life threatening/saving & changing surgery. 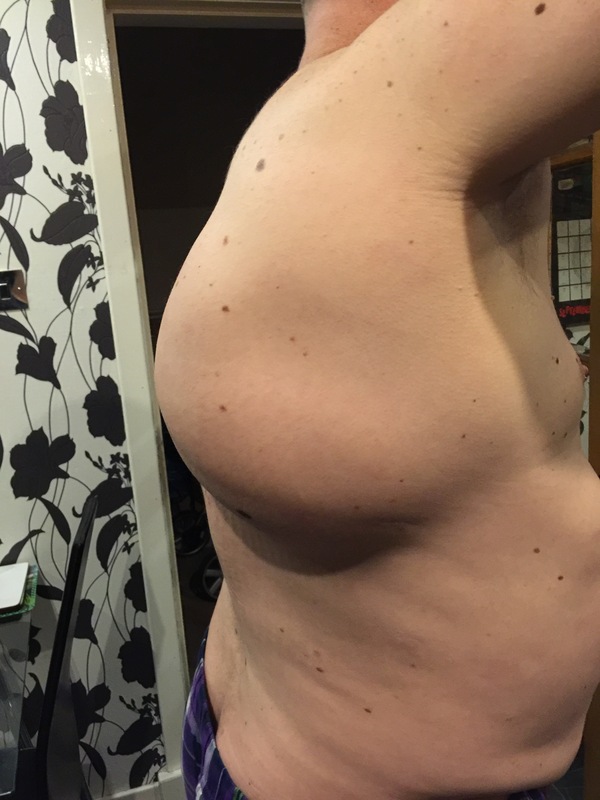 Carrying that about was exhausting stuff, but with surgery round the corner, I knew that I wouldn’t be exhausted again, like that. Wrong! You see I’m exhausted most days now. This is due to the amount of medications I need to take every day, for the rest of my life. Also down to severe chronic pain making me extremely exhausted. So in this Blog I will be writing about these areas. Finally, please ask your family, friends, workmates and anyone else you can think of to like and follow the page.